All the fun without all the sun! Children are extra sensitive to the sun, and protecting their skin is paraMount. Luckily, with the Merry Mountain system, children can enjoy all sorts of outdoor activities without risking their health by combining sun safety with an active lifestyle. 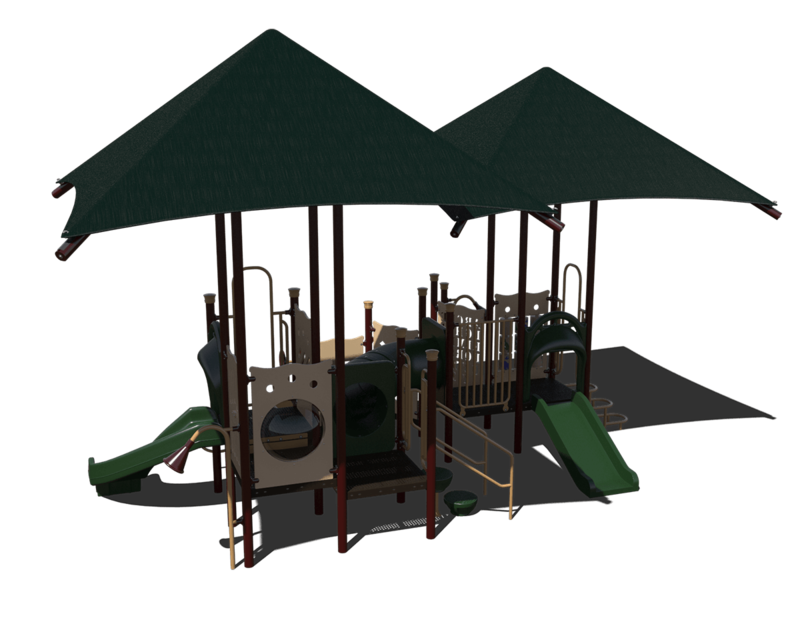 The attached shade canopy provides maximum protection from the outdoor elements in all seasons and allows for extended play value. 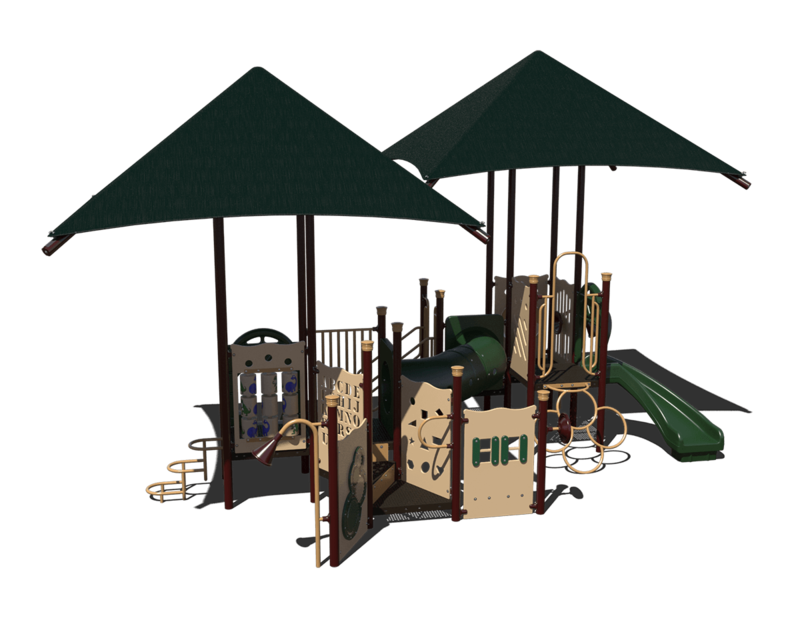 Not only will kids stay cool; but, they will look cool too as they navigate along this system and immerse themselves into a world of never ending adventure and play. A pair of slides and three climbers offer endless active play possibilities while sensory panels and steering wheels add creative play value.